Click here to download the Power Sonix Naval Brochure. Most ship installations will house the electronic components in an interior communications room or bulkhead. The amplifer(s) and AC-DC converters are mounted to a plate which is attached to a bulkhead or communications rack. The remote control (PSRCU) is mounted nearby on to the operator's console. Power Sonix has a Naval PA System for any vessel, from police boats on rivers, lakes and reservoirs to coast guard ships, cruise ships, tankers, frigates, destroyers and aircraft carriers. Built to withstand the harsh sea environment, our electronics withstand the sea salt, driving rain, wind and constant sunlight exposure. We are proud to have been a supplier to the ROC since our company was formed. 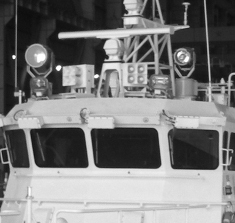 Time-tested on the China Sea and in the intracoastal waters of Taiwan, our tactical public address systems provide the power, distance, clarity needed for many operations. 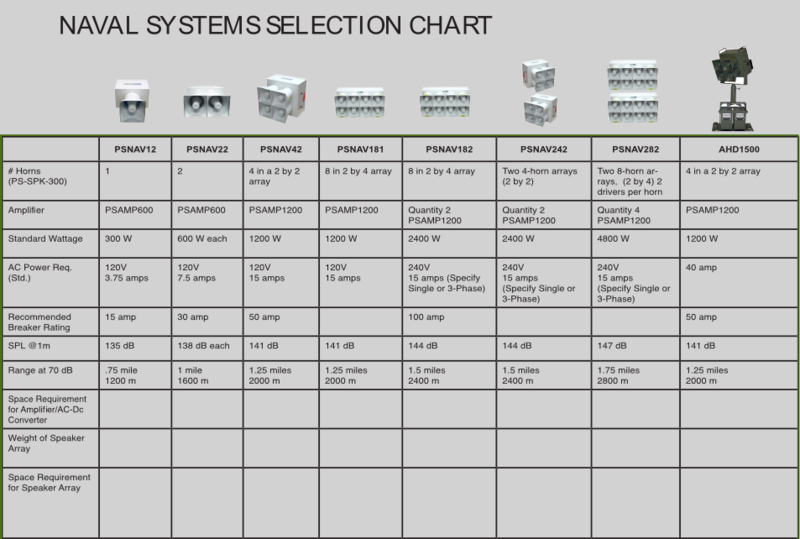 Standard PSNAV system components include; 1) speaker array(s), 2) amplifer(s), 3) remote control, 4) noise canceling microphone, 5) AC-DC power converter and, 6) associated interconnect cables. 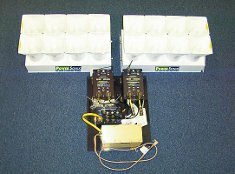 The speaker array can be permanently mounted above the bridge using Power Sonix brackets. The power converter and amplifer(s) come conveniently pre- mounted on a plate that can be secured inside the vessel. 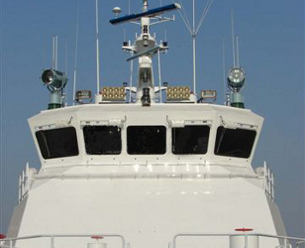 PSNAV systems are ideally suited for both military and civilian maritime missions. Unlike the much larger, heavier and more expensive "disk" systems touting a "narrow beam", our compact and lightweight systems provide a broader range of tactical options for emergency responders to deliver life-saving information to more people, faster with less expense. Those "narrow beam" products just don't deliver broad area announcements with any range, power or efficiency. 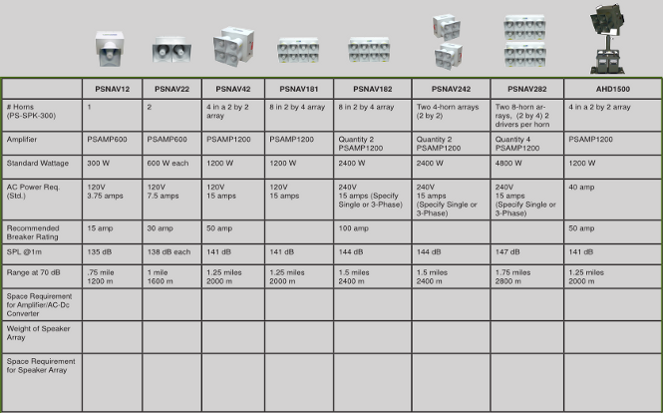 � 2003-2010 Power Sonix, Inc. All Rights Reserved.